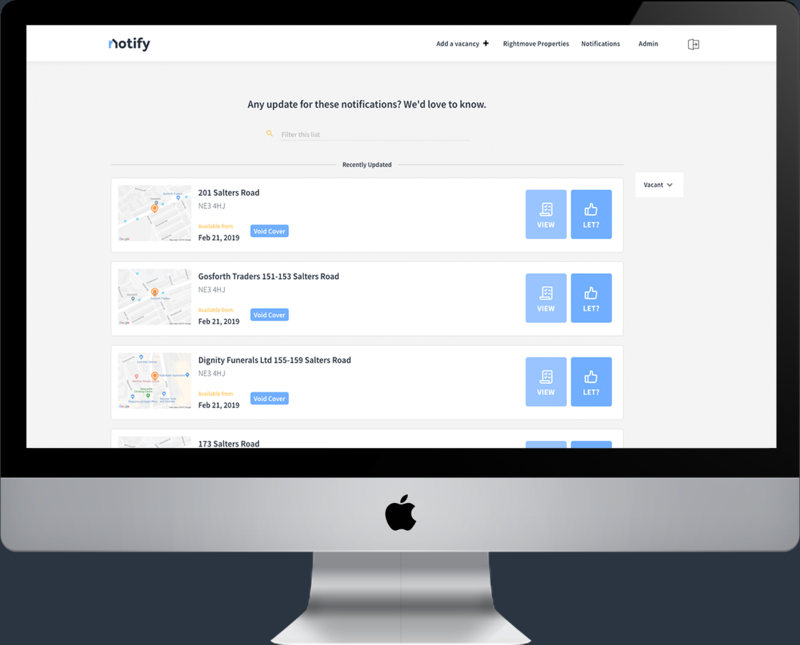 Notify | Notify enables letting agents to notify utility providers about changes in tenancy. Electricity, gas and water providers are informed. Notify provides letting agents with a smart and simple software solution for quick utility registration whilst earning commission. We’ll inform the current energy and water suppliers of a property that the new tenants have moved in, every time. We ensure tenants are responsible for the utilities from day one. This protects your landlords from unpaid utilities being left in their name. We also offer to cover the Void Period with our partner provider SSE. Your tenants receive a welcome call and email to inform them who their current utility providers are. Our team will advise them of their options in their new home absolutely free of charge. In line with our partner provider, Notify will cover the void period for your chosen properties, up to £10 per void period. Notify will inform suppliers the property is empty and also inform them of where to send the bills if the property is vacant. Once the property is let we will then inform the suppliers of the new tenant’s details. Notify is good at what it does, meaning you won’t need to speak to a utility supplier at all. Notify will pay commission on leads submitted before the tenancy start date, simply add the tenancy information to Notify and watch your commissions grow. Notify is clear and intuitive, allowing staff to be trained in minutes and notifications to be submitted in seconds. Notify can monitor your Rightmove account and intelligently prioritise your pipeline based on its activity. All notifications can be tracked allowing visibility to when information has been passed to relevant providers. All notifications can be tracked allowing visibility to when information has been passed to relevant authorities. Notify is a One Utility Bill service. Tips to help you survive Dry January! One Utility Bill shortlisted for Energy Innovation Award!